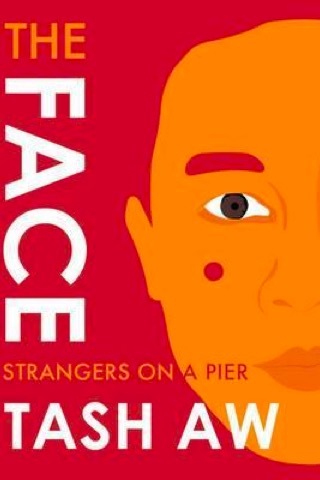 Tash Aw’s lovely personal essay Strangers on a Pier examines the rich diversity of a slice of modern Asia through his own family’s immigration and educational experience. Aw was born in Taipei and raised in Malaysia, where his grandfathers had settled (in Perak and Kelantan) after emigrating from China. The essay covers Aw's school life in Malaysia as well as an examination of his relationship with family members whose outlooks on life vary considerably. Aw, acclaimed author of Malaysia-set Harmony Silk Factory, Indonesia/Malaysia-set Map of the Invisible World and China-set Five Star Billionaire, looks at the issue of identity and how it relates not only to where one was born and raised, but how it can shift through generations, both as children become upwardly mobile economically, thanks to a confluence of their parents’ sacrifice and a nation’s development, and as links to an ancestral country weaken over time. The blurb says that Aw paints a “vivid portrait of a place caught between the fast-approaching future and a past that won’t let go”; but it’s really the portrait of his particular family that lingers. This doesn’t lessen the impact of his words, but rather drives home perhaps a larger point, or question, really: People constantly strive to improve their place and the place of their family in the world—often by migration—and in doing that, what’s lost and what’s gained in the process? Aw is certainly not arguing against migration here, but rather exploring the process. Sweeping generalisations (such as the belief in a monolithic China by outsiders) can sometimes mask an actual rich diversity (to be navigated, not always effortlessly, by immigrant families like that of Aw’s); people are not always who or what they seem based on what they look like, or the language they now speak. Both national and family histories can mask what was a complicated reality, but, writes Aw, “we need to know that messiness in order to know who we are”. Our only criticism of this piece is its form: We could have easily read Aw’s musings on identity, family, race and home for a full book. This essay is part of The Face series, a collection of short memoirs by prominent authors; we certainly look forward to whatever Aw writes next. You can read a New Yorker excerpt from the essay here.